April 23, 2018—Spring Valley, NY. On April 28, a pro-life rally will be held at the Planned Parenthood facility on Perlman Drive in Spring Valley, starting at 11 a.m. This rally is one of more than 100 taking place outside Planned Parenthood centers across the United States, marking the third annual National Day of Prayer and Protest Against Planned Parenthood. This nationwide day of prayer and protest is being coordinated by #ProtestPP, a coalition of more than 75 national, state and local pro-life organizations, in response to Planned Parenthood’s aggressive new agenda. In February, Planned Parenthood executive vice president Dawn Laguens declared that the organization is “going on the offense,” pursuing abortion expansion plans in “all 50 states.” This month, Planned Parenthood announced their participation in the “Win Justice” project, devoting $30 million to advancing their agenda in the November elections. The protests to be held April 28 will also call on federal authorities to stop Planned Parenthood’s taxpayer funding. The effort to fully defund the organization of all federal tax dollars—about $430 million annually—has stalled in Congress. But an effort is now underway to revise Title X family planning rules to block Planned Parenthood as a recipient, and deprive them of some $60-80 million annually. Peterson emphasizes that every dollar taken from Planned Parenthood would be redirected to healthcare providers that are not involved in abortion. “The effort to defund Planned Parenthood has nothing to do with taking healthcare away from poor women and families. It’s about taking tax dollars away from the nation’s largest abortion chain,” she explained. #ProtestPP is a coalition of more than 75 local, state and national pro-life groups, headed by three national pro-life activist organizations: Citizens for a Pro-Life Society, Created Equal, and the Pro-Life Action League. See also Why Defund Planned Parenthood? at ProtestPP.com. We hope you’ve heard the good news that there is no abortion expansion in the 2019 New York State Budget that was passed last week. It was hard to get information about the budget process as it was going on, down to the last minute, but the word is that the abortion proposals were dropped during negotiations. So thank you all for your prayers, your letters and phone calls to the senators, and the emails that you sent. Thank you especially to the prolifers of North Rockland who responded to our targeted, special alert to contact prolife Senator Larkin. Unfortunately, abortion expansion may come up again as a regular bill during the legislative session, which ends in June. If so, we’ll let you know. But for now, just enjoy Easter and Passover Week and know that you spoke up when it counted! Great work!! And if you have a moment, please email Senate Majority Leader Flanagan and Sen. Larkin and just tell them thank you for their efforts to halt the expansion of abortion in New York. The final NYS budget is due on April 1, and as we approach that date the abortion expansion proposal is still a horrible possibility. Contained in the budget are plans to radically modify NYS law. The changes would allow abortions to be performed for all 9 months of pregnancy, non-doctors could be empowered to perform abortions, and babies born alive after an abortion could be left to die of neglect and starvation. Pro-abortion forces have been trying to expand abortion in New York for years. Meeting failure, they’re working around the normal legislative process by trying to push their plans through in the New York budget. Please contact your state senator immediately. The message: Please oppose all abortion expansion proposals (S.7511) in Gov. Cuomo’s budget bill. However, if you’d prefer to call, Sen. Larkin’s number is 518-455-2071; Sen. Carlucci’s number is 518-455-2991. Jan. 29 — Tonight the U.S. Senate failed to pass a bill that would have banned abortions after 20 weeks — the Pain-Capable Unborn Child Act — by a vote of 51-46. The bill had passed in the House of Representatives on Jan. 19, the day of the March for Life in Washington. Pres.Trump had said he would sign the bill into law if it came to his desk. The vote was mainly along party lines, with Democrats voting against it and Republicans voting for it. However, two Republicans, Susan Collins of Maine and Lisa Murkowski of Alaska voted against the bill, and three Democrats, Joe Manchin of West Virginia, Bob Casey Jr. of Pennsylvania, and Joe Donnelly of Indiana voted for it. 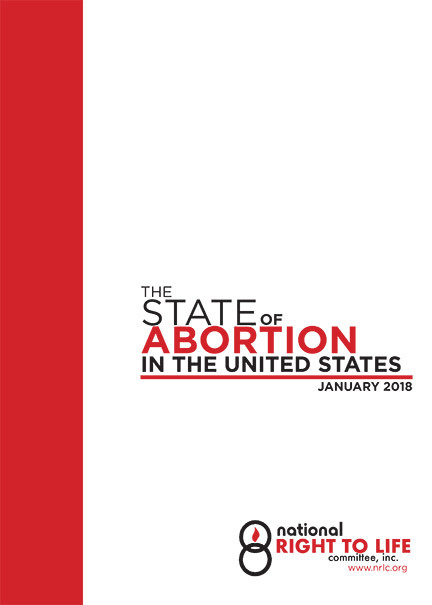 A recent Marist poll showed that two-thirds of Americans support a 20-week ban on abortion. This was lost on our two senators for New York, Chuck Schumer (D) and Kirsten Gellibrand (D),who voted against this prolife legislation. They joined our representative in the House, Nita Lowey (D), who voted down the bill last Friday. Three out of three fail again to protect the mosts vulnerable! Very sad! The House of Representatives today voted 230-188 to nullify an Obama resolution designed to prevent states from redirecting Title X funds away from unsuitable organizations like Planned Parenthood. Rep. Nita Lowey (CD 17), who represents Rockland, voted against this prolife resolution. See House Passes Measure to Nullify Last-Minute Gift from Obama to Planned Parenthood. “Fighting for the Right to Choose.” That’s the subject line of the email from our congresswoman, Nita Lowey, to her constituents about a bill she introduced into the House on Jan. 24. Well, that puts it right out there, and we’re grateful to Ms. Lowey for being so upfront about what her latest bill is about, because you’d never know it from the language of the legislation itself. Take a look at Lowy’s H.R. 671, the Global Health, Empowerment, and Rights (HER) Act. But actually, what it’s all about is funding abortions abroad with our tax dollars. H.R. 671 seeks to permanently repeal Pres. Trump’s executive order banning foreign aid to International Planned Parenthood and other international organizations that would use it to kill babies. After eight years of subsidizing abortion overseas under Pres. Obama, we have to be grateful that Trump put an end to it last month. Where Did NY Go Wrong? In the state of New York there were 29.5 abortions per 1,000 women. The national average is 14.6 per 1,000 women. These numbers (for 2014) are from the Guttmacher Institute, a supporter of abortion rights. Nevertheless, even they are saying the abortion rate in our state is double the national average, and yet there are proabortion forces in Albany looking to give us even more abortion.